I sometimes think that Yorkshiremen are born with dry humour – and it simply falls from the pages of Ken Mellor’s self-published book, Only Bounders Ride Motorcycles, 100 Years of Family Motorcycling. 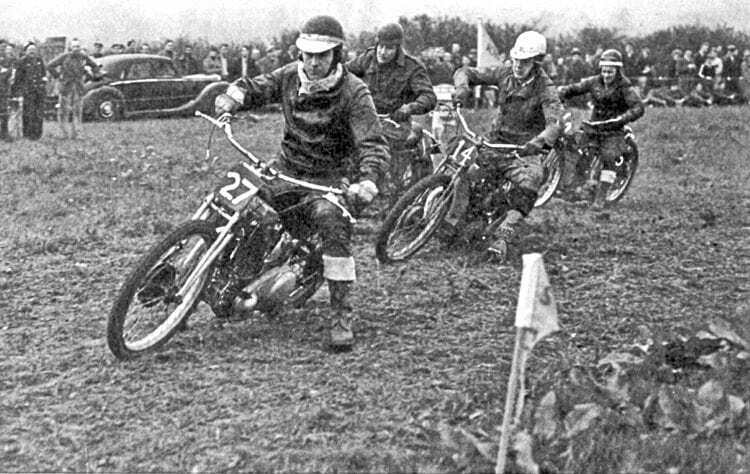 This picture changed Ken Mellor’s life after it appeared in the Yorkshire Evening Post and led to him becoming accepted at the Belle Vue Speedway Training School. It’s the story of the pleasure derived from man’s basic conception of the internal combustion engine by a father and son, not only for workaday transport and weekend pleasure, but also in sporting events ranging from hill climbs during the First World War and early 1920s and grass track and speedway in England and France in the 1950s and 60s to a more leisurely period of club runs and touring in later years. Through the depressed 1920s, the hungry 1930s and the long period of recovery after the Second World War, the narrative leads the reader through hardship and humour, highlighting the rise and fall of social backgrounds, from a time when a gallon of petrol cost a shilling, you could buy a three-bedroom semi for £500 and many boys didn’t even wear long trousers until at least the age of 14. On this 1929 500cc York machine, Ken gained a silver medal in the 2010 Banbury Run. 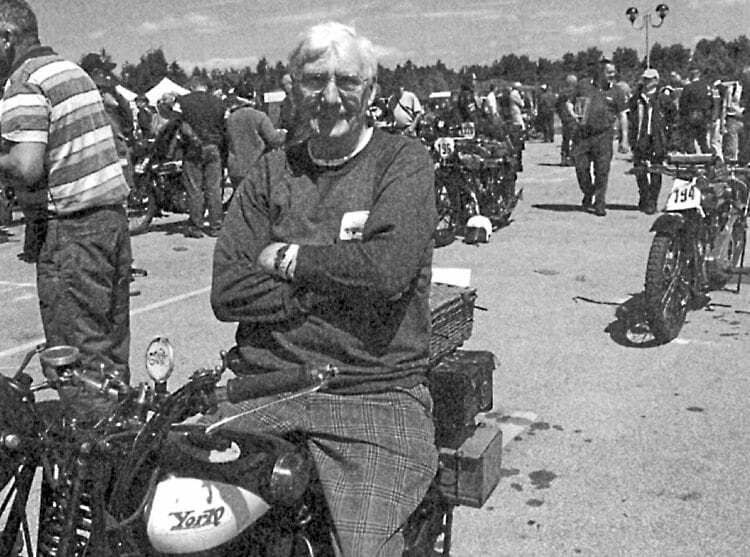 Born and brought up in Leeds, where his father and grandfather were already well established in the local cinema trade, Ken Mellor became steeped in cinema lore at a very early age – but with motorcycling being such a big part of his family’s life, he quickly graduated from sitting on his mother’s knee in a sidecar to riding pillion and finally, after some clandestine jaunts around gas-lit suburban streets, passing his driving test at the second attempt three months after his 16th birthday (the first time he was failed for looking down while operating the hand gear change of his 1936 BSA, BRH 387. Next Post:Are you ready for the onslaught of winter?